 Ashes to Ashes has won in the category Best VR & Immersive Film last weekend at the Aesthetica Short Film Festival in York! 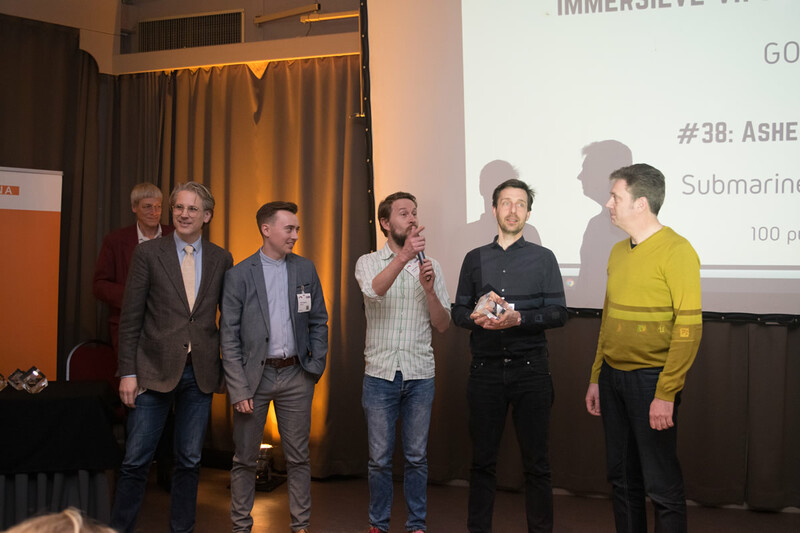 Ashes to Ashes was nominated for the 2017 Gouden Kalf Award in the category Interactive, along with three other Dutch interactive and VR pieces. Ashes to Ashes was also presented at the NFF in Utrecht as part of the festival’s Best Of Interactive program. Ashes to Ashes has been nominated for the Online Projects category at the next Prix Europa (14-20 October). 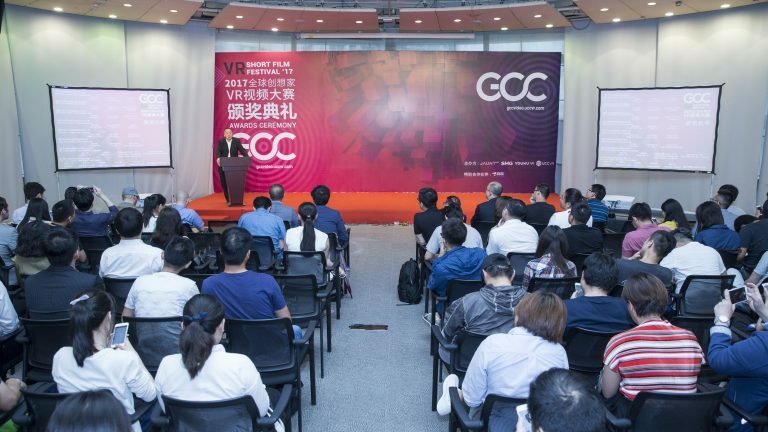 Ashes to Ashes was part of the top 10 most potential VR creators to the GCC VR Forum as part of Shanghai International Film Festival (17-26 June, 2017). 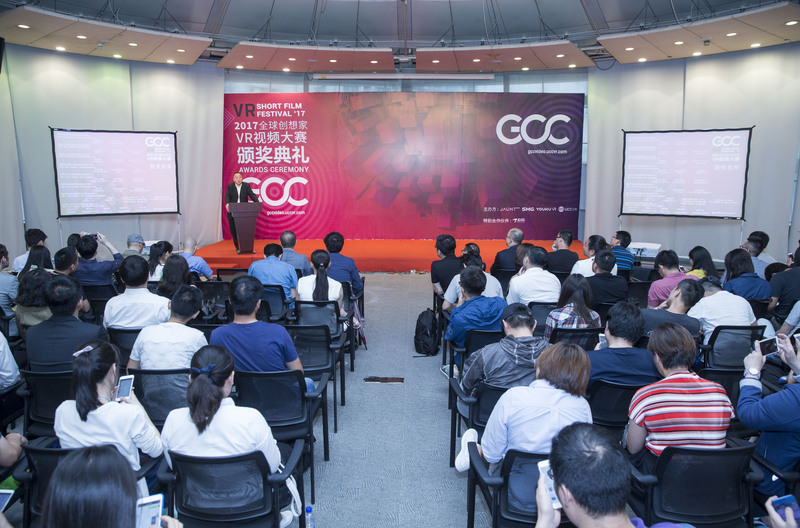 The film received a prize cup during the award ceremony on 19 June, 2017. 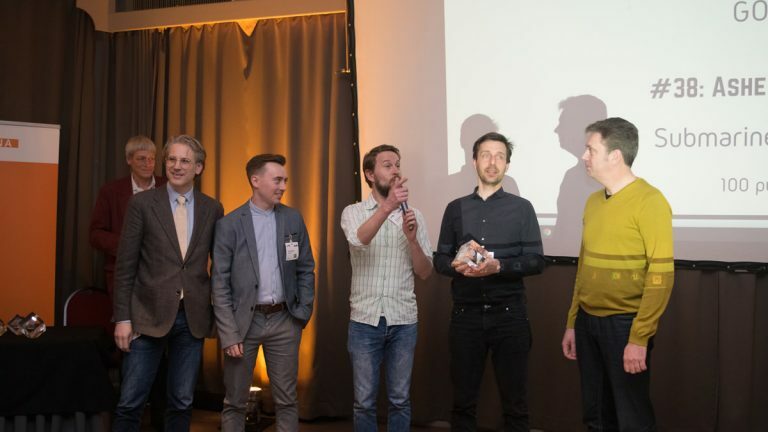 Ashes to Ashes won the gold medal at Dutch VR Awards for best immersive 360 video on March 9 2017. From left to right; executive producer Benjamin De Wit, DOP and post production supervisor Peter McLaughlin and directors Steye Hallema (VR) and Ingejan Ligthart Schenk (theatre).